King and Collector reunites the greatest masterpieces of this magnificent collection for the first time. . The latest exhibit from the Royal Academy features the extraordinary art collection of Charles I (1600-1649). Although the rule of Charles I was not particularly long he managed to put together an extraordinary collection of art through both acquisition and commission. Charles I was executed in 1649 and the collection was broken up soon after. At the time of his death, the collection comprised around 1,500 paintings and 500 sculptures. The exhibit of 140 pieces has been sourced from the Museo du Louvre, the National Gallery London, the Museo Nacional del Prado and over 90 works have been lent by Her Majesty The Queen from the Royal Collection. The collection is spread across 12 of the stunning galleries at the Royal Academy. The first room contains a bust of Charles I and features those who supported him and shaped the collection. 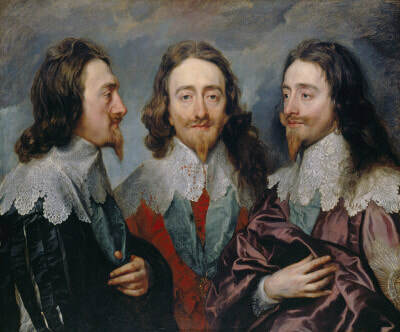 The bust on display was based on a portrait of Charles I which displayed his profile from three different angles. Charles I did not have the time to pose for his own sculpture! 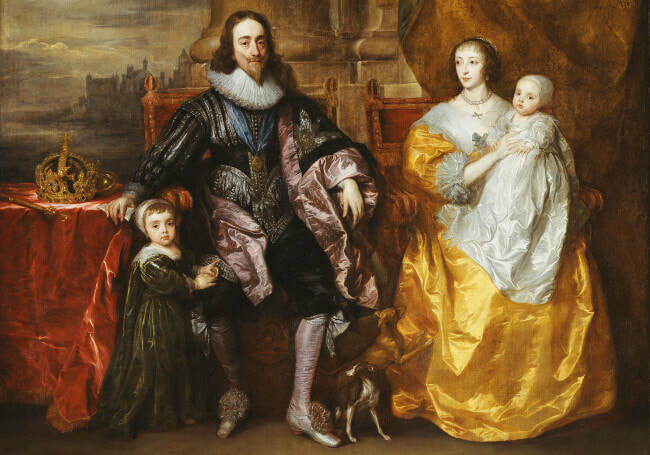 ​The core of the collection is Anthony Van Dyck’s portraits of the king and his family.